A crisscross ruched bodice and slim, flowing skirt create a romantic and dreamy bridesmaid dress. Featuring a sweetheart neckline and spaghetti straps, it is the perfect combination of radiant style and elegance. On-trend crisscross straps snap in the back just below the nape of the neck in a very cool star shape. This gown cinches at the waist to create a flattering silhouette. 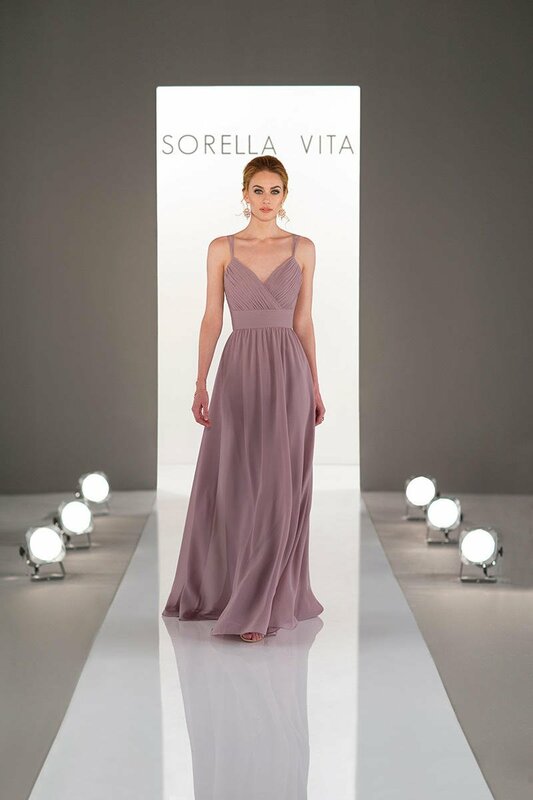 Available in over 30 colors, this bridesmaid dress will be the perfect addition to any bride's dream-day celebration!